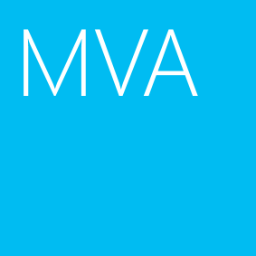 Promoting an additional domain controller, Install from Media (IFM) can reduce the replication traffic which is initiated during the installation of and additional domain controller in an Active Directory domain. this method is best for WAN link unstable environment. The operation failed because: Active Directory could not be restored, because the backup files were taken on a different build of the operating system. 1. 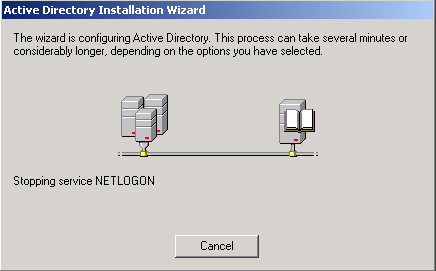 At a Windows Server 2003 domain controller which is installed global catalog service, log in as Domain Administrator. 4. 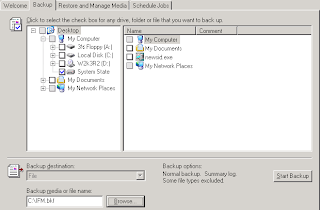 Select "Backup" tab, check "System State". 5. 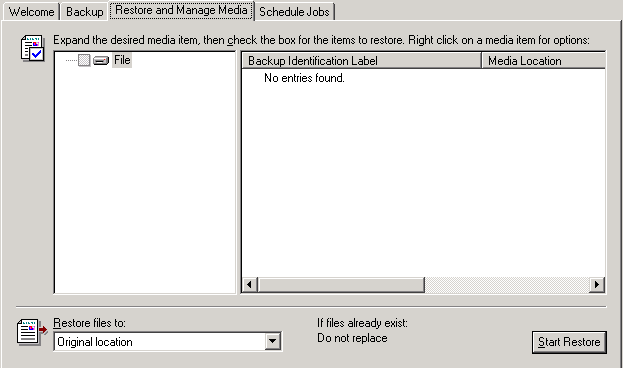 Next to "Backup media or file name", type "C:\IFM.bkf". 6. Click "Start Backup" twice. 7. When the backup is complete, click "Close". 1. At the server which you want to dcpromo, log in as local administrator. 2. Copy the "IFM.bkf" to this server C drive. 5. 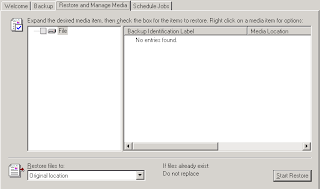 Select "Restore and Manage Media" tab. 6. Right-click "File", select "Catalog file". 7. Select the "IFM.bkf", click "OK". 8. Expand "File > IFM.bkf created <date> at <time>, check "System State". 9. Next to "Restore files to", select "Alternate location". 10. Next to "Alternate location", type "C:\IFM". 13. When the restore is complete, click "Close". 15. Click "Start > Run", enter "dcpromo /adv". 16. At welcome screen, click "Next" twice. 17. Select "Additional domain controller for an existing domain". 19. 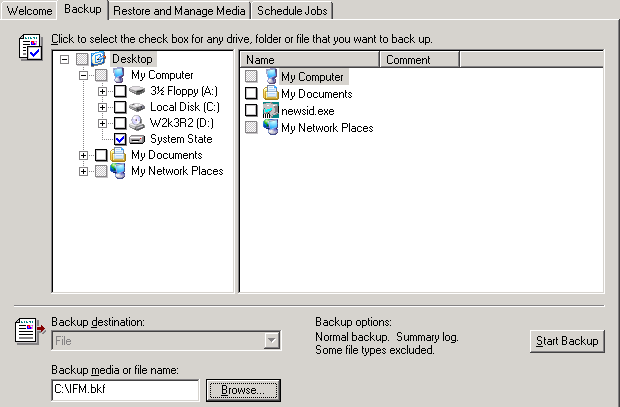 At "Copying Domain Information" window, select "From these restored backup files". 22. Enter the domain administrator credential, click "Next" three times. 23. Enter the DSRM password, click "Next" twice. As a result, the required data are being replicating from the media file.